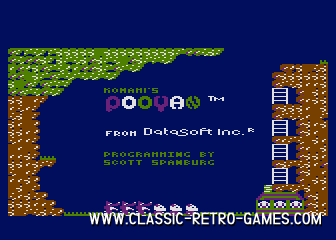 Konami's Pooyan was actually not developed by Konami itself, which happened more back then. However, the game concept is real Konami material as it is simply brilliant. 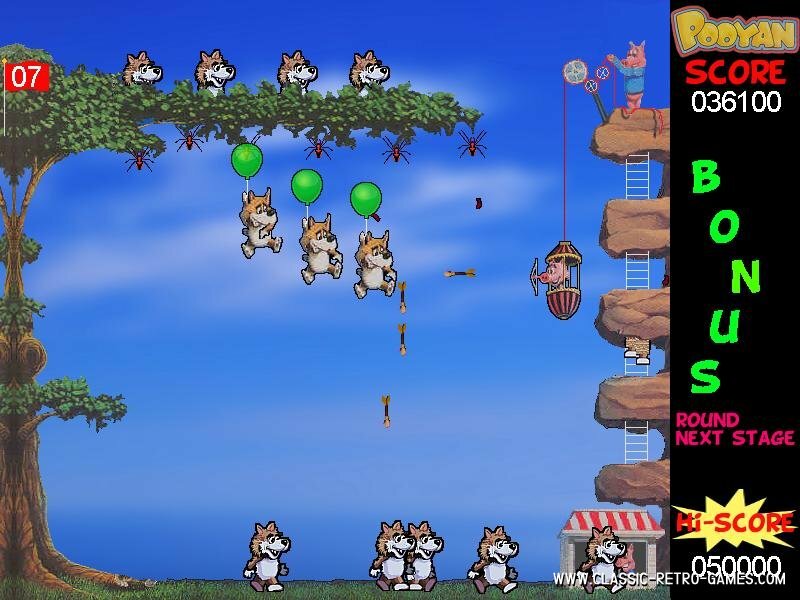 You may remember having played this games hours and hours on the arcade or maybe you were lucky enough to have enjoyed this retro game on your 8bit computer. 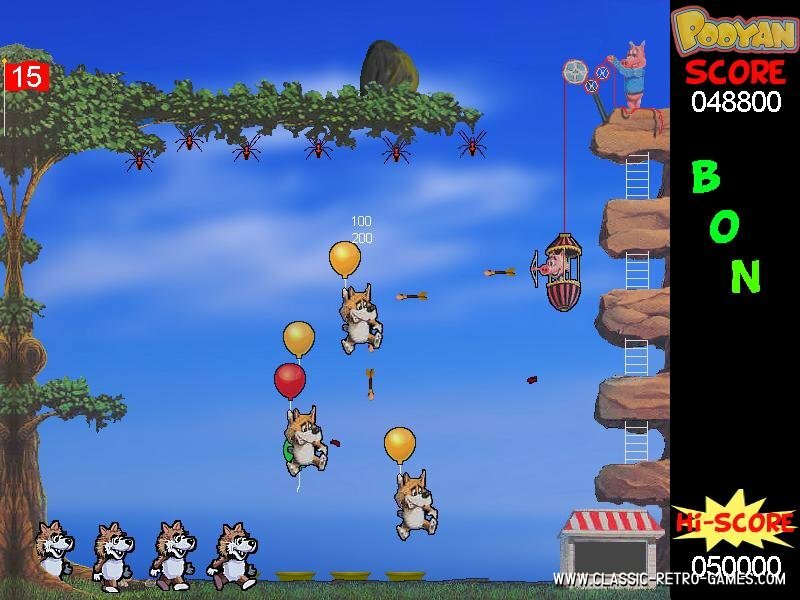 This Windows PC Pooyan remake is free, has excellent graphics, runs very smooth and has awesome gameplay. It features all the game concepts the original version had. 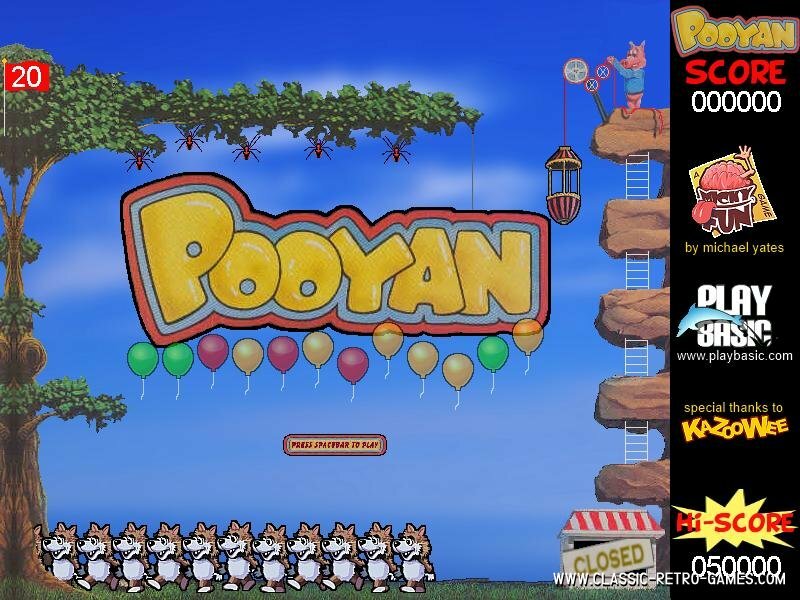 So be sure to download this classic and enjoy Pooyan on your Windows PC. Currently rated: 4.4 / 5 stars by 44 gamers.